Red meat is harmful for health due to high content of saturated fat which produces bad cholesterol. It can create various health issues related to heart and other problems like diabetes and kidney issues. However, if red meat is dried and preserved properly, then most of the saturated fat is drained out. We are talking about beef in the form of jerky. 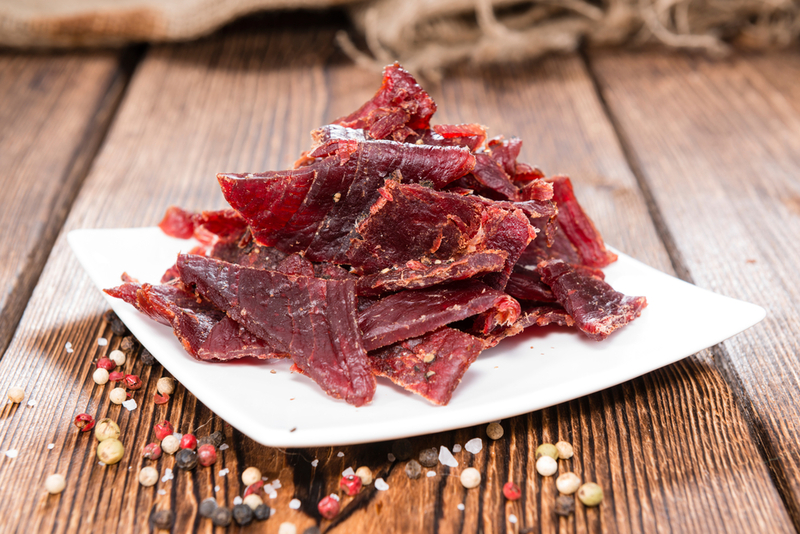 Jerky means ‘dried’ where red meat is sliced into strips and marinated with seasoning and flavors. Salt is added in good quantity because that helps in keeping beef safe from bacteria. After which it is dehydrated which is a traditional and old process, but the best one, to be sure that all bacteria is killed and fat and cholesterol is reduced in level. Once it dries up, then it is packaged in a vacuum sealed pack. Beef jerky is available covered in preservative called nitrite. This can be slight harmful so check those packages and find the content of nitrite in it. There are many brands that manufacture jerky and you can get bulk beef jerky in any normal store where you find all sorts of food. Since it can be kept in normal room temperature for long thus, you don’t need to especially approach a frozen food counter. However, once the package is opened, the leftover meat has to go in refrigerator. 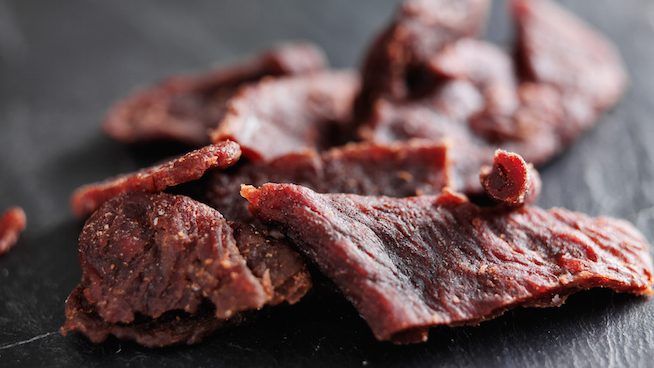 Beef jerky is considered a healthy low carb snack food because all the contents in it are bare minimum and all you have to wonder about is the quantity of sodium in it that can increase your blood pressure or heart rate. Salt content is always high in dried beef to avoid bacteria thus your intake shouldn’t increase in a day. There are various brands that sell dried beef, you need to pay attention to all contents present in it as that is what will determine the healthiness of the food. Hence, spend some time in the store to check all contents and the percentage available in it. According to AHA, it is the first snack that’s short in fat and high in protein with moderate amount of zinc and carbohydrates. This not only makes your diet healthy, but you also enjoy your snack. Since jerky is in demand therefore, many brands have taken the quality of beef to a new high level. This also has given you many options.